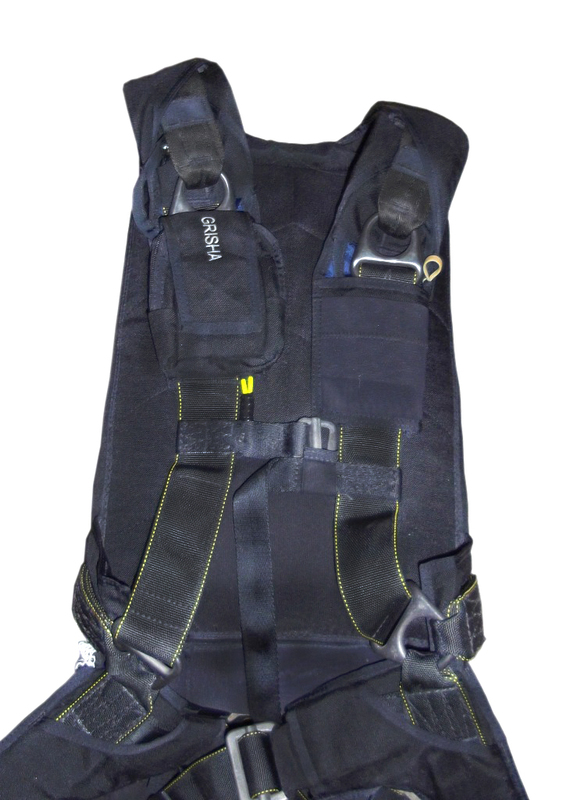 The sophisticated shape of shoulder straps allows adjust the harness system exactly right and in the most appropriate way to provide maximum comfort and safety. 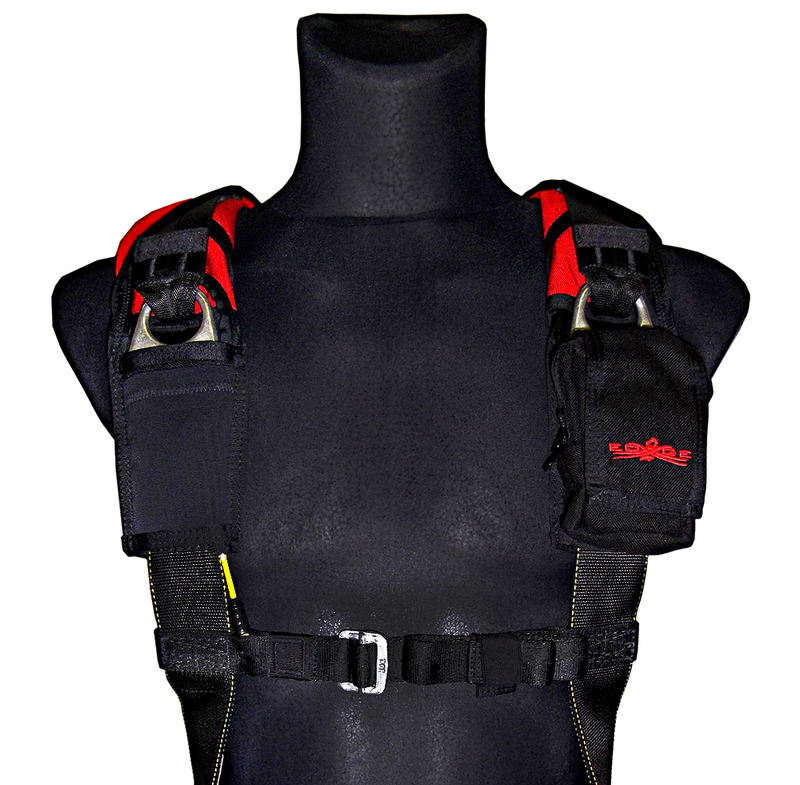 When the system is put on the shoulder straps bring together the system on the chest, facilitate the work in the harness system, and prevent it from slipping off in case of narrow shoulders. 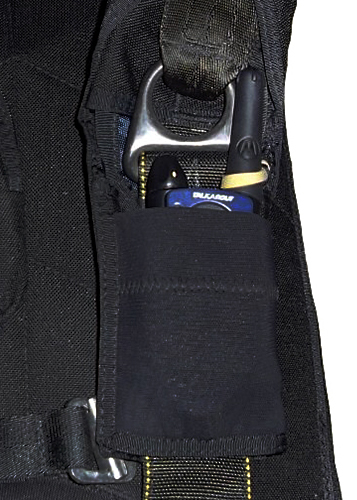 Also optionally in the area of the Three rings it is possible to place pockets: one of them may be called ‘Key pocket’, can be closed with zipper and is useful to keep small items, the second is elastic – for portable transmitter. 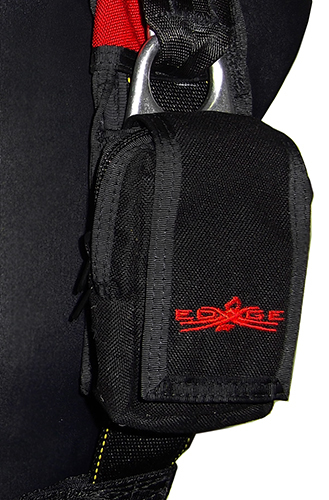 Also it is equipped with a loop to install the device antenna on place.